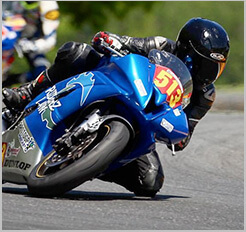 I’m fortunate enough to be good friends with a master motorcycle mechanic, that whenever work needed on any of my bikes are either out of my ability to tackle or requiring time beyond what I have available, I can just take it to his shop (Evolution Motorcycles) and he or one of his mechanics can sort it out for me. For those DIY jobs though – changing the oil, flushing the cooling system, swapping out the wheels, etc. 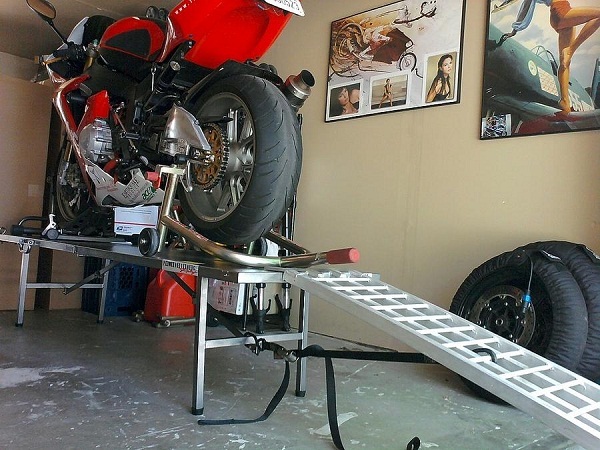 – I’ve come to appreciate the convenience and ergonomics of having a motorcycle work table. The hydraulic lift above was my first one, and yes, it felt proper to have a work table you can roll your bike on, then lift via hydraulic pump to get the bike up to workable height, rather than getting yourself down and contorted on the ground. I’m six feet tall, so the latter is not particularly fun for me. 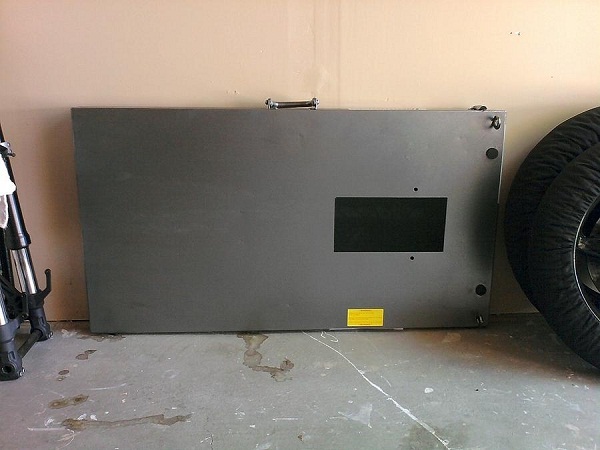 The only problem I had with that setup though, was that the lift took up permanent space in my single-car garage. It was a sacrifice I willingly endured for all the virtues of the lift, but it was no small sacrifice if you knew me. So when the hydraulic pump gave out well before the 90-day mark of allowable return for the lift, instead of opting to have the pump rebuilt to reliable specs (previous research indicated this was a common course of action for owners of this lift), I opted to simply return the lift back for a full refund. Like I said – I REALLYlike space. 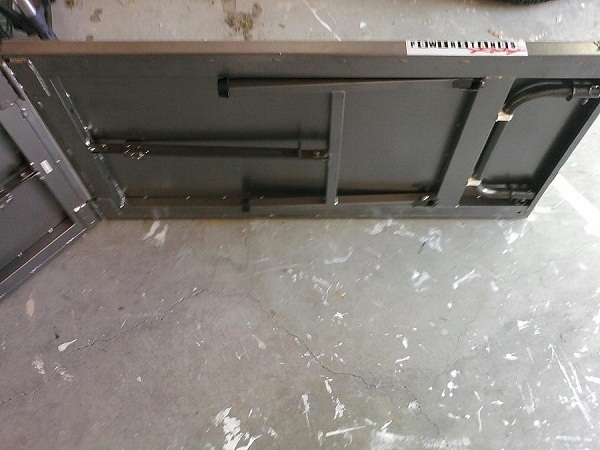 Enter: Powerstands Powerplatform Portable Work Table. 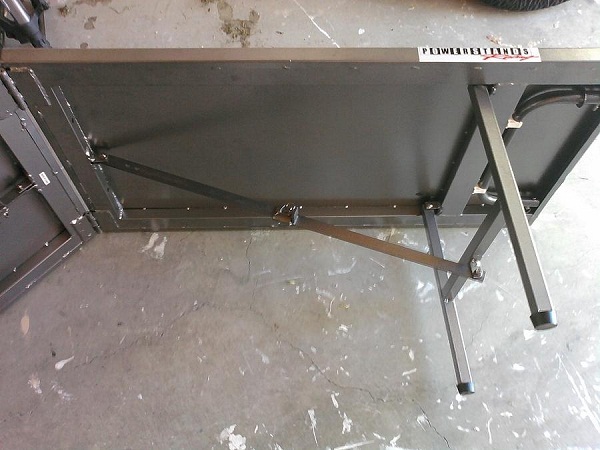 Quite a mouthful, I know, but trust me, this 75-pound piece(s) of heavy-duty steel folding table has been a godsend to me in my quest for both better ergonomics when working on my motorcycles, AND maximizing useable space in my single-car garage. And while it has the disadvantage of the user having to roll the bike up on top of the table when unfolded, in my opinion, the positives outweigh that negative. Of course, if you’re not comfortable single-handedly rolling a bike up to a raised platform, then perhaps it’s best to look away now. If you can get over that particularly (and quite understandably) daunting requirement though, the folding table offers many rewards. The legs fold into the table. Note the front wheel stop stowed to the right. Portability! This particular model is a self-containing unit, which means that every component included in it when in use, stows within it when not. That it effectively folds to cut its length in half and its height to less than a quarter of itself when unfolded is REALLY convenient. Being able to store the work table away until I needed it was a big selling point to me. Portable, in every sense of the word! 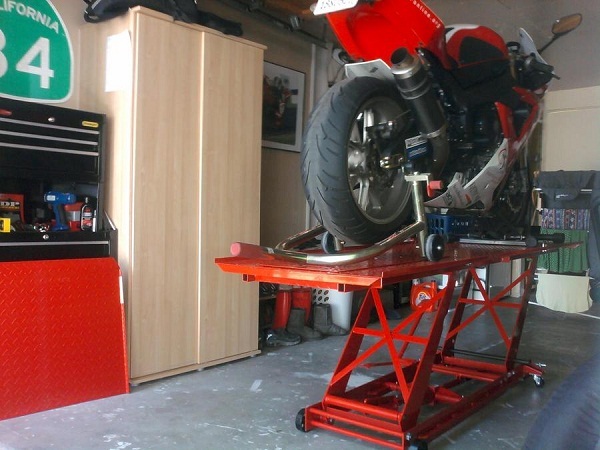 The holidays are coming up, and in the spirit of my fellow RiderzLaw.com blogger Linda Corley's latest entry, the Powerstands Powerplatform motorcycle stand would be as good a gift as any to give yourself if you like to do any kind of work on your motorcycle, I promise. 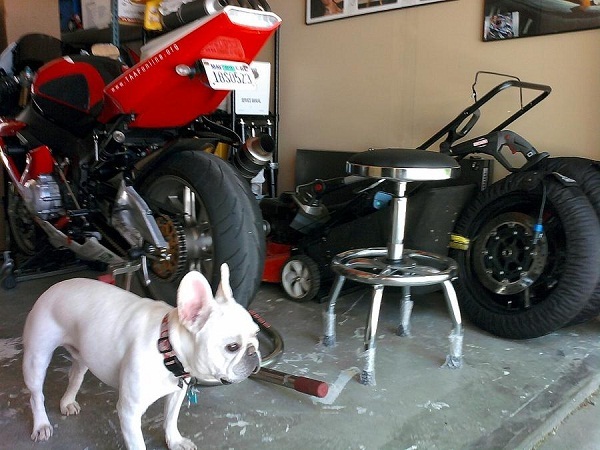 Your bike(s), your back, and your limited garage-space will thank you.